The labyrinth is easy to use. Think of it as taking a walk with focused attention. Feel free to walk around other people if their pace is different or if they stop. It’s okay for other people to move around you. If you feel “tippy” or dizzy, slow down, speed up, or focus on a point in the distance. Some find it helpful to stop at each turn. The path is a two-way street. Do what comes naturally when you meet someone else, just as you would if you were walking on a narrow sidewalk. Take advantage of this opportunity to pray with your whole body. Give yourself permission to follow the intuitions and desires that come. Be open to your body expressing itself through gestures, movements, or the flow of tears. Don’t be trapped by the thought, “I can’t do that, other people are watching!” Other people are busy with their own labyrinth experiences. You can’t get lost on a labyrinth, but you can get turned around. If you move off the path and forget which way you were heading when you step back on, you will either end up at the threshold or the center. From there you can decide to continue or end your experience. You can always leave the labyrinth. Many have experienced the labyrinth as a mirror where it is possible to view one’s life internally and externally at the same time. Open your heart; open your mind to what you may notice. Be compassionate with yourself; judging yourself isn’t helpful! Instead, use your observations to know yourself better. Labyrinth experiences are seldom “done” when one leaves the path. You may wish to journal, walk around the labyrinth, use art supplies to explore the meanings of your time on the labyrinth, or sit quietly to let what has begun continue to grow. 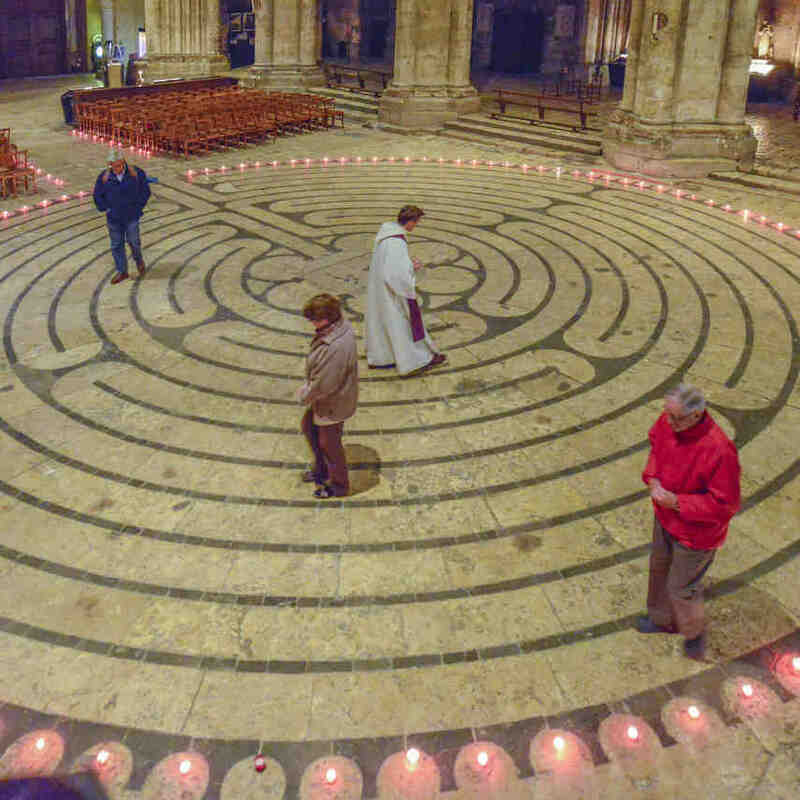 You may not become aware of all the meanings of your labyrinth walk for hours, days, or even months! 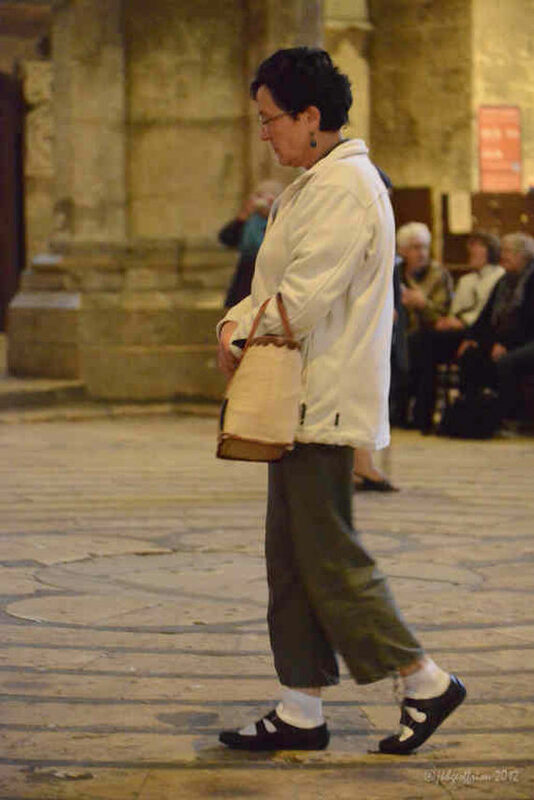 Witnessing others as they move in prayer is a very meaningful way of readying yourself for your prayer on a labyrinth. 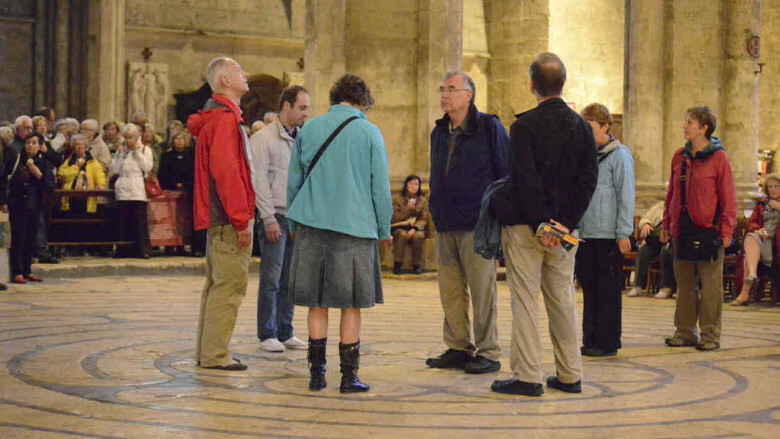 One of the many gifts the labyrinth offers us is a place to practice watching others with eyes of love and/or prayer. Before you enter, let go of as many expectations about what may happen during the labyrinth experience as possible. Pay attention to whatever develops as you move. Try to let go of thoughts that distract you from being present to the experience.